Futures Gymnastics is a very progressive organization that puts the child before the athlete. As part of our philosophy safety is number one and then caring for all members. We are seeking a new member of our leadership team who also feels child centered teaching is extremely important. Futures is seeking someone to join our dynamic WAG Coaching Team. We are seeking a coach who is minimum level 2, preferably Level 3 however, who has experience coaching higher level gymnastics. Our WAG coaching team work together to teach all levels of WAG Programming. We are seeking someone available afternoons and 2 evenings per week. No weekend training! If interested please contact us via lorraine@futuresgymnastics.com. Confidentiality ensured. The position is available immediately and wages will be commensurate with experience. 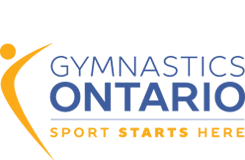 ‹ GO has extended our partnership with Happy Gymnastics for another year!